For some time, Flussig and Nithimai have looked to expand their water treatment offerings amongst their existing customers. Now,Flussig and Nithimai have partnered together with ZI-CHEM. This partnership was formed as a result of ZI-CHEM’s experience, technology and capabilities in the Thailand market - and also due to the international support and backing which ZI-CHEM can offer as a business of Zuellig Industrial. While ZI-CHEM is not the biggest in Thailand – we are proud to be amongst the most dynamic – offering world class response time and service, ongoing training programs, and highly knowledgeable, experienced technicians and engineers. Another reason for Flussig and Nithimai to join with ZI-CHEM is the commitment of the senior management team and support through marketing and other forward thinking activities, all designed to help grow the market in Thailand. 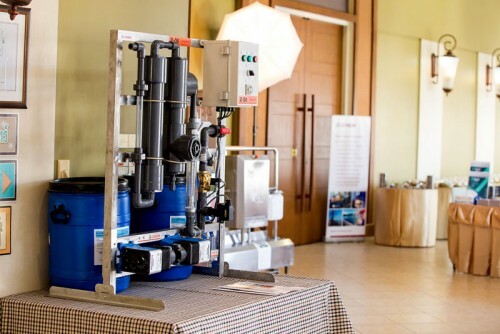 As a result of this partnership, ZI-CHEM, Flussig and Nithimai arranged a specialized water treatment seminar, designed to continue the development amongst existing customers. Please click here to see some of the images from this partnership event.